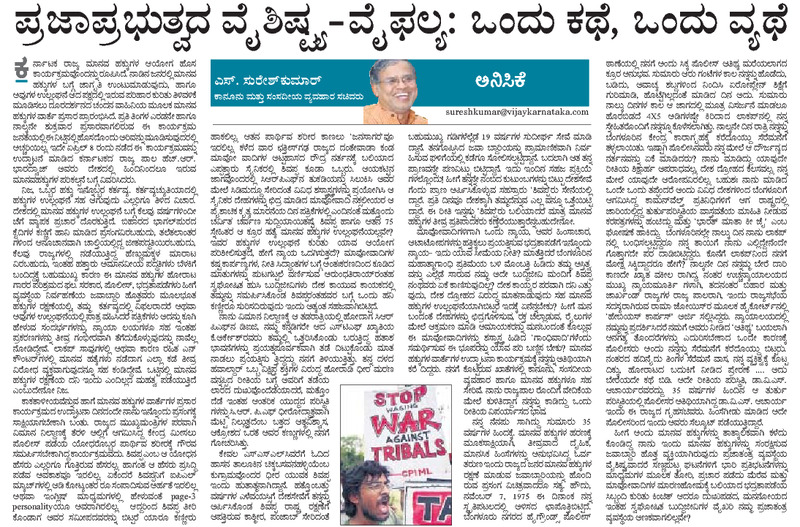 NIMMONDIGE NAANU: HUMAN RIGHTS- IS IT THE SOLE POSSESSION OF MAOISTS AND NO ONE ELSE? HUMAN RIGHTS- IS IT THE SOLE POSSESSION OF MAOISTS AND NO ONE ELSE? 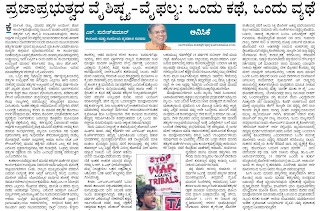 This is an article in vijay karnataka.. 14th Apr. I Have tried to counter our self proclaimed pseudo-intellectualls who support Maoist-naxalites in their every act of violence and portray them as Gandhis with Guns. Are'nt our brave and hapless armymen who fight to protect us being repeatedly deprived of their human rights? My own experience of being witness to denial of basic human rights during years of emergency finds a mention too. Pls read on! The home minister has asked a question to the human rights activist during a debate in the Rajyasabha"If the Maoists succeed in toppling the present establishment and form their own rule,will they respect the human rights of all citizens?" A question all the human rights activists and intellectuals need to ponder upon immediately!! !